You know those people that consider their dogs their kids? Yep, I am one of them. My two labs are a huge part of our lives and I want them to have the best of the best. Introducing Olive + Altlas, a brand new company that has just launched their online shop of high quality accessories for dogs. They are a local company to me in the Pacific Northwest and are inspired by the great outdoors, Pendleton wools, and rugged leathers. And, $1 from each collar and $1 from each leash sold will be donated to both Old Dog Haven and Project Canine. You can shop for their great products right here. I had planned on getting some great shots of my labs sporting their new collars, but they wouldn't sit still for a photo shoot. However, I got some shots of their collars that I think will show you how cool they are, and all the details put into them. 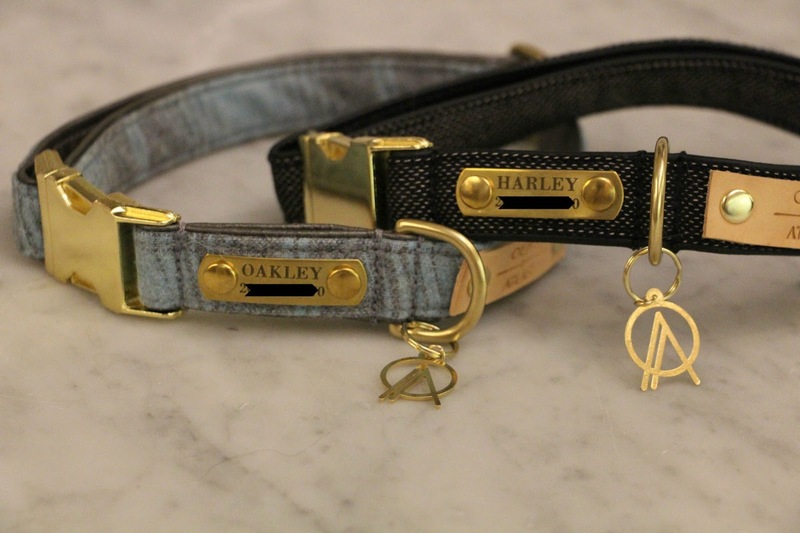 For Oakley I got the Sky River, and for Harley I got the Nob Hill. I love the brass hardware and how sturdy they are because my big dogs are not very easy on things. 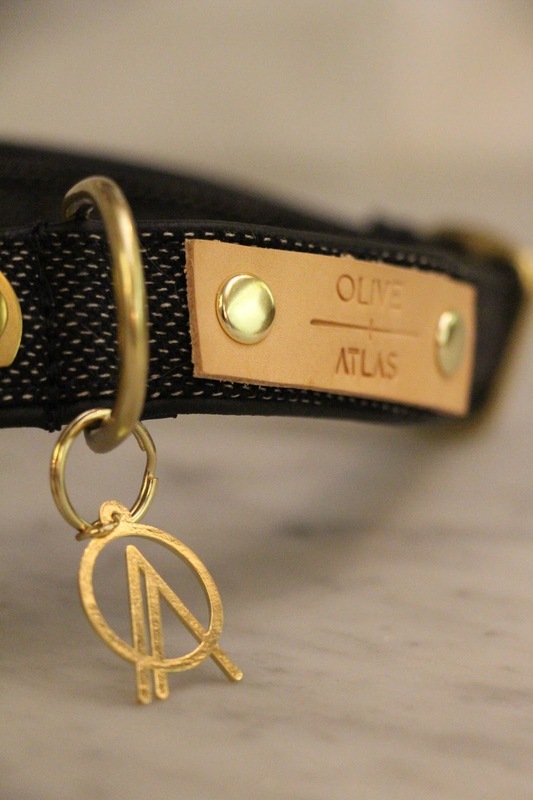 I hope you check out Olive + Altas and support their new company. I know you will love these as much as I do, and my dogs look mighty handsome! These are so cute! I wonder if they would be too heavy on a smaller dogs neck with all the brass? My Cavalier is only 12 pounds. This post caught my eye right away!! I'm that weird anti kid, but fur loving momma haha! 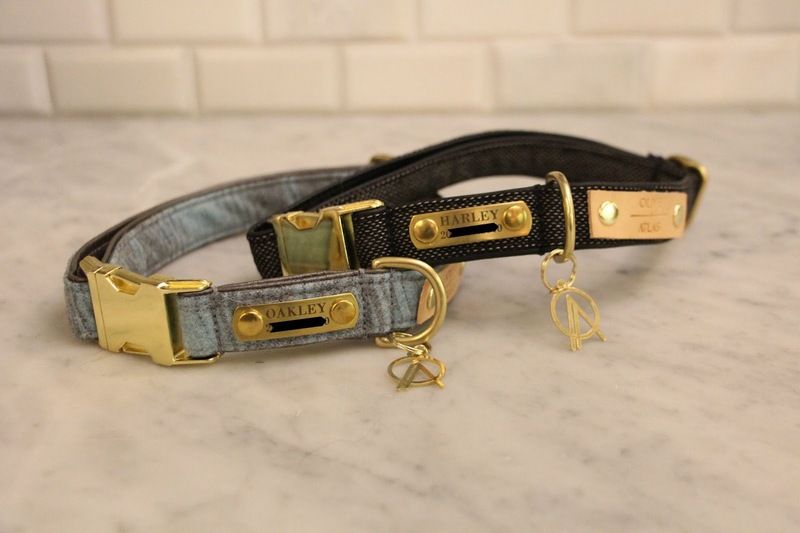 These collars are SOOO stylish & I need new collars for our two rescue dogs for our annual Christmas shoot & these are legit perfect in style!! I love that they donate to charity too!! Heading over to checkout/order some new jewelry for the pibbles LOL! Thanks for sharing!! !